Linguist, specialized in American English and psycholinguistics; inventor of Language Mapping, a generative grammar; author and translator. I have never loved Poland, though I was born in the country. I was only 11 when the martial law started. Cultivation of the Polish military junta, under which I was growing up, began well before 1981, and survived year 1983. — Well, and there are no inborn feelings. Born in Poland — and no one ever has choice on the place — you cannot change your citizenship, unless the President allows it, says a regulation. You have to write a letter to the President and enclose numerous documents, even an autobiographical note by hand. The President may grant permission or — not. If he denies, there is nowhere to appeal, say Polish authorities. The decision on renouncement is made by the President of Poland. There is no right of appeal. The European Union should require that all member countries allow citizen freedom of decision on renouncement. Abroad, the picture of Poland (that you mostly get from the Polish) is that of heroic resistance under vile neighboring countries, ruthless in their line of business. For centuries, Poland was Europe's marching ground — when it was not dismembered and wiped off the map by some combination of Germany, Austria and Russia. It battled the Teutonic knights in the Middle Ages, and Hitler's blitzkrieg in September 1939 lives on, in the minds of the elderly and the imaginations of the young, you can read from even as far away as Sydney, and the Morning Herald. It is worth adding, the First Partition of Poland was decided by Polish nobility. I expand on the mentality aspect further in the article. I remember Poland primarily for undue influences by their own services, mostly military. I emigrated in year 2004, long enough after the Round Table to tell it did not bring the changes it had promised. I have no yearning or intention to go back. Here is some of my picture on Poland. They were seeking extra money and interfered civilian businesses in a spirit of nonchalance as deep as showing in their emblem to imply a crowned capon for their Polish eagle. A report on WSI activity became famous in Poland, telling about Soviet influences and ties to KGB, the usual theme. However, decisive Polish operatives have been and remain chosen by long ancestry lines, Polish “z dziada pradziada”, and the “Roll-up” was neither a Russian temptation, nor ordnance. The making of the report was supervised by Antoni Macierewicz, then Chairman for the Verification Commission. 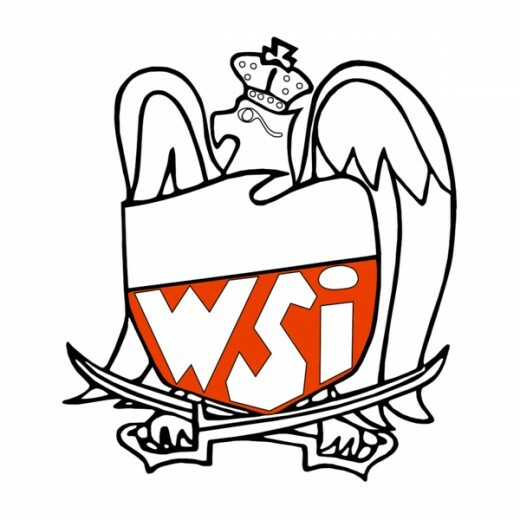 WSI was a merger between the former Communist Internal Military Service and the Second Directorate of General Staff of the Polish Army. The predecessors partook in death verdicts and executions on suspected opposition — also women, though women never have been subject to military service, by Polish law as also of today. Soviet involvement has been purported about those acts as well, yet Moscow always cared to have a legal ground, even if stretched. WWII was ended, and surviving victim accounts all have indicated Polish staff. Arrested in the beginning of July 1946. Sentenced to death on July 31, 1946. The execution was carried out on August 27, 1946, in the Military Main Directorate, Warsaw quarters. The Polish military manner that drove to the martial law was beginning to take shape already then, 35 years before. The Polish “Łączka”, a little meadow, was a secret burial site for those executed or tortured to death by special services. The infamous “Section Ł” was set out in the Powązki Military Cemetery. The crimes were committed with special cruelty, on Polish citizens, by Polish citizens in Polish services civilian as well as military. Adam Humer belonged with the Office of Public Security, a civilian service who cooperated with the military closely. Humer was called a Stalinist, but his personally sadistic acts did not result from a Russian recommendation. Paradoxically, if to blame Russians, you would have to blame them for not having controlled Humer enough. In Warsaw alone, Polish special services had more secret burial sites; in Służew: Wałbrzyska street, Dolinka district and Saint Catherine parish, the horse races; in Mokotów; in Bródno; in Warsaw Praga, “Toledo” and November 11 street; in Trojanowo. The picture of Warsaw city changes, if to take into account the Polish secret governance. Russians did not set those places out, or even grant them sanction. The map is available from my Google Drive. Anything was better than the Military Information. Those were really sadists by a big S and murderers by a huge M.
You are going to be an en-en, was a phrase you could hear in Poland also many years after the Round Table, if you were not inclined for Polish services. The acronym meant “name unknown”, nazwisko nieznane in Polish. Under Communism, the acronym was used for bodies difficult or impossible to identify, as well as those illegally buried. Year 2009, the acronym “NN” recurred for surveillance. Purportedly, it was to mean telephone “number unknown” (Polish, numer nieznany). Polish services claimed they deserved to get a warrant even if they had no idea what telephone number they were monitoring or wanted to monitor. The judge granted a warrant on Janusz Kaczmarek, a politician. Addresses, contacts, and lifestyle; observation to be continued also if the dummy departs. 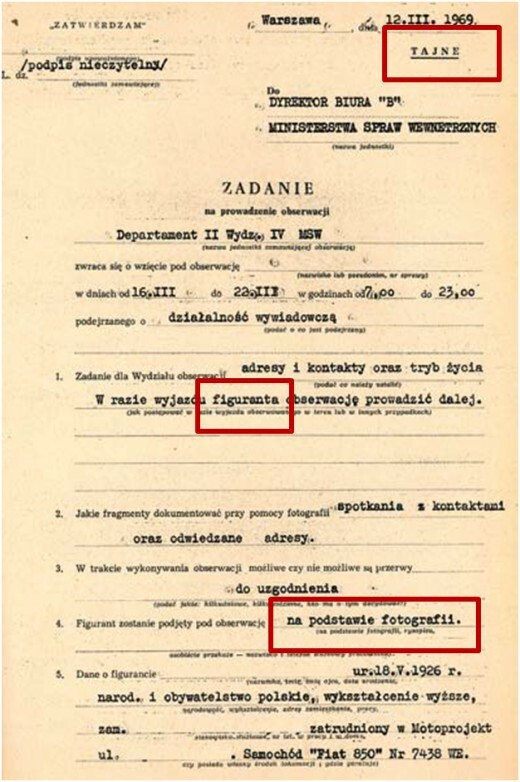 The facsimile below shows a declassified document from 1969, with the word “dummy” (Polish, figurant) in a red frame. It also says, taken under observation based on a photograph. Communist services were rather psychopathic, naming the secret quarter “Łączka”; standard Polish language would associate a little meadow with relax. 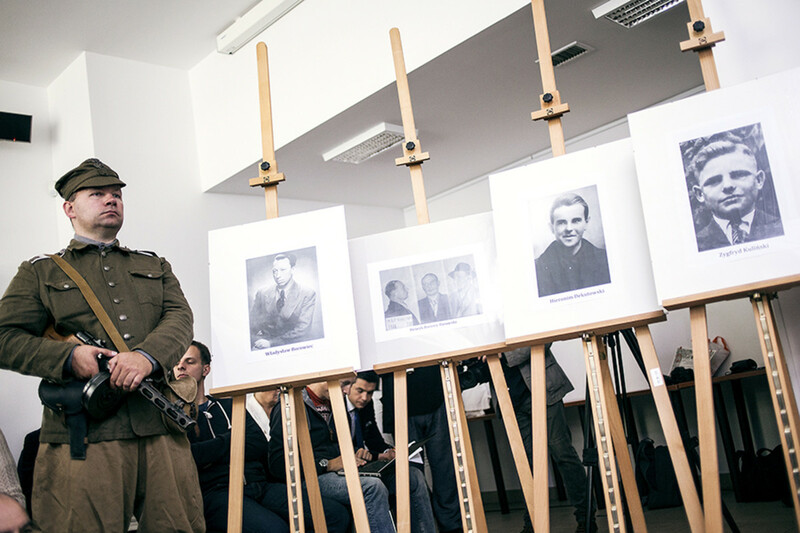 Year 2016, Polish Institute of National Remembrance announced they had a meeting at “Łączka”. There remains to hope the Institute were not about adopting the “dummy citizen” as well. 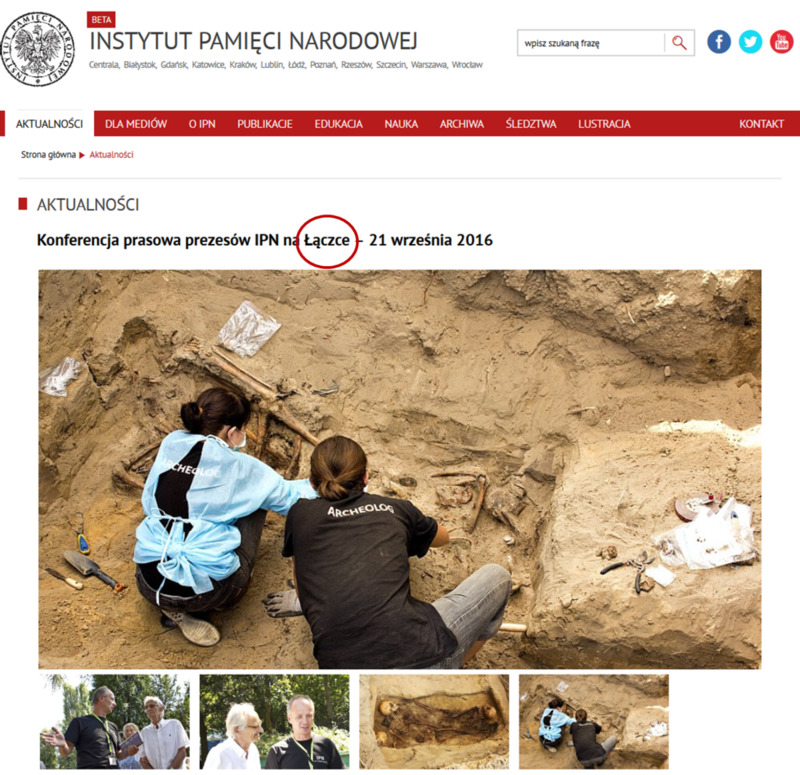 Polish Institute of National Remembrance say they meet at “Łączka”(circled). Year 2009, Henryk Piecuch, formerly a Polish border guard, went public with his observations on Polish service intimate activity. The citizen has no chance for defense. Techniques are at such high levels. It is only the matter of matching the proper agent with the victim. Piecuch described Communist practices, “if romantic, then in films only”, to provide male and female socialites for diplomat and generally VIP targets. He evaluated business talks in the context as successful, and service quality as “skies higher” in comparison with... the Polish “tender Tom” affair. The idea for Polish patriotism as intimate servitude, disgusting to me, was back. 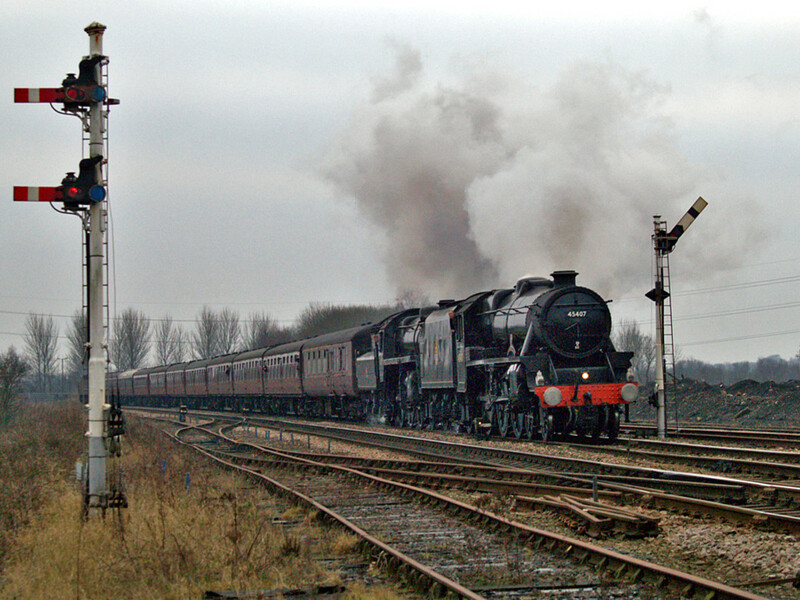 ... he (“tender Tom”) carried out his tasks excellently. He made two illustrious cases, and that certainly owing to his talent, skills, and proper training. ... świetnie wypełniał swoje zadania. Zrobił dwie głośne sprawy. Zapewne dzięki talentowi, umiejętnościom i odpowiedniemu przeszkoleniu. Mr. Kaczmarek stated he was a patriot, which brought him support from the Law and Justice party. 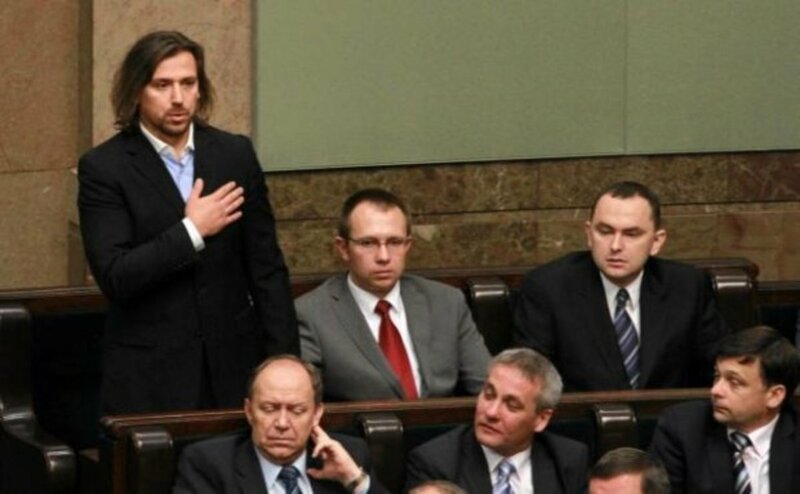 “Tender Tom” became a deputy to the Polish Sejm in 2011. He gave up as a parliamentary in 2015, in context of another scandal. Year 2016, Andrzej Milczanowski evaluated Polish services as “on a carousel”, owing to frequent changes in staff. He remained a person of consult owing to his anti-Communist activity and prisoner of conscience status by Amnesty International. However, in Poland, not only cooperatives would need to have an enormous devotion for the services, as well as trust in them. After all, one also could get animated, having been painted. Pixel by pixel (Polish, pikselek po pikselku) became another verbal threat you could hear in Poland, if you were not complacent. Already under Communism, Polish services developed a method to “handle”, that is, threaten or damage their human targets on basis of personally tailored files. Ethical issues do not end there. An operative toolkit of the times of the Polish People's Republic would look capable of influencing things as well as people. For service purposes, people also were “broken”, that is, forcefully incorporated. The “breaking” did not end with 1989. The tool repertoires as today can convince that not everything is an illusion, under the label of “electronic harassment”. I have never cooperated and never have wanted to cooperate. Polish nationalist mentality has been shaped in studies of hundreds of years of history when Polish patriots were dying defeated. As a kingdom, Poland fell in internal feuds, ridden by the illusion of “nobles' democracy”. The nobility part was that all parliamentary deputies were Polish nobles. Majority vote was to do for all the “democracy”: the liberum veto anyway allowed one person to hold up all proceedings. There were no free elections. The government was by the select, not by the elect. The Polish term for a parliament is Sejm. Under the crown, the senate consisted of nobility high ecclesiastical and secular officials, and the lower house of lower ranking officials and other, also nobility. 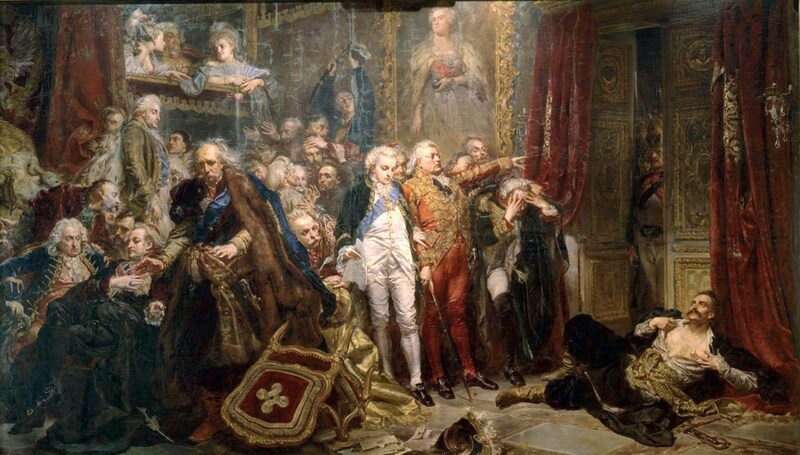 Below, the famous Rejtan by Jan Matejko: the First Partition of Poland was decided in a Sejm by Polish nobility. Not only Polish history books continue to present the First Partition as an act coerced by neighboring powers. Records yet remain the Polish nobility did not care to have a respectable representation in the decisive Sejm. Local assemblies refused to elect deputies; less than half the regular number came to attend. The Polish nobility must have expected “business as usual”, under the Partition. Reportedly, some nobles had been bribed. After all, those were Polish noblemen to coin the name Rzeczpospolita Polska, for Poland. Difficult to believe as it might be, Rzeczpospolita also meant a commonplace thing (and referred to vulgar things, too); see Doroszewski, a dictionary of Polish, and Wiktionary. For adjectives and the way they work, it is worth the while to compare the qualification for a country with that for a human being. Those nobility times, dziewka was a word for a girl or young woman; pospolita dziewka was a term for a primitive woman of low conduct, an offense. Rzeczpospolita did not translate well into a commonwealth, and I have no idea by way of what consensus it became translated as a republic. Into Polish and back, a republic translates as republika. Adjectives have remained adjectives. 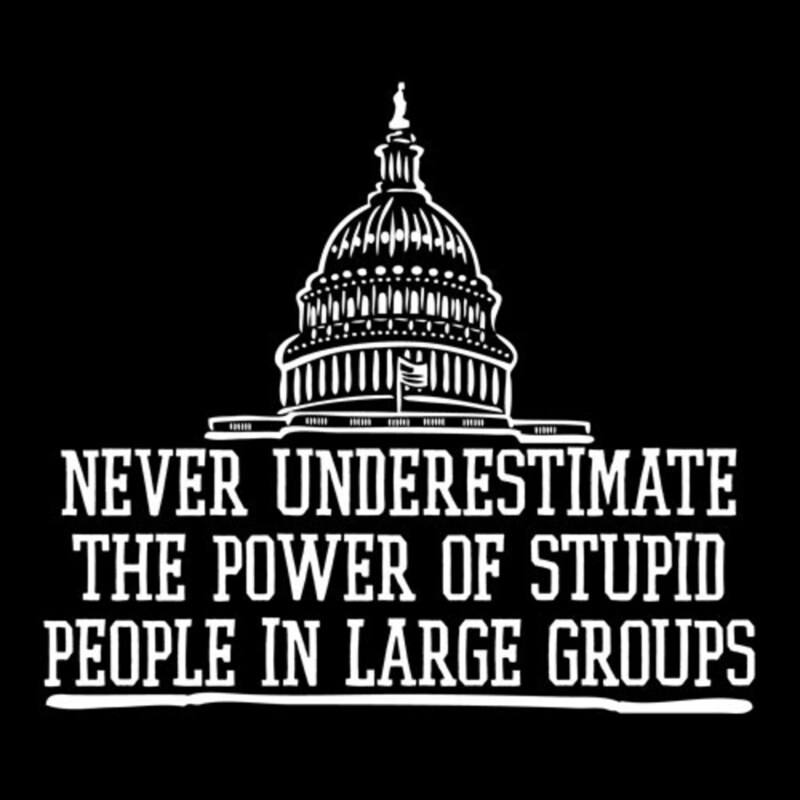 Saying that people are great, united, or republican is no offense. Saying that people are commonplace (pospolici, in Polish) cannot make a compliment. At the time of the First Partition, in practice and everyday reality, Poland had been already partitioned by feuds. Forays had become a habit merely to raid and rob property, without even a pretense of legality. To compare human rights today, Poland was in a large proportion — lawless. Raiding a village and burning it was not a crime, unless another noble objected. It was the same about killing a peasant: only if he or she was of worth to a landowner, the Polish nobleman might expect trouble. Henryk Sienkiewicz wrote his historical novels to “elevate the hearts”. It is out of attraction for a young noble woman that his Deluge character, Andrei Kmitzitz confesses to a wrong, namely... having ordered one hundred blows for the town mayor and councilors. When Kmitzitz burns a village, the hearts are to rise with the figure of the king to demand an explanation. In reality, if anything like monarch interventions happened, it was by way of exception: those were the nobles to select kings. The time the story of the Deluge tells, the monarch was gathering troops and support against the Swedish. Under the crown, the people at large did not have citizen status, and landowners cultivated a deep divide, especially in finance. One of the results was, the people hardly were of a military capacity. Polish victory over the Swedish Deluge remains described as Pyrrhic: Lesser Poland lost 23% of population, Masovia 40% in villages and 70% in towns, Greater Poland 50% in villages and 60% in towns. Royal Prussia lost some 60% of its population. For a comparison, World War II brought about 65-68% losses, dependent on the estimate. In the light of the Partitions, the Relief of Vienna does not look grand at all. The Austrian crown was not a believer in gratefulness. More, Poland's defense was left to mere luck, then: the king took all capable forces with him. I have never supported royalism. I read a history book, my primary school years. 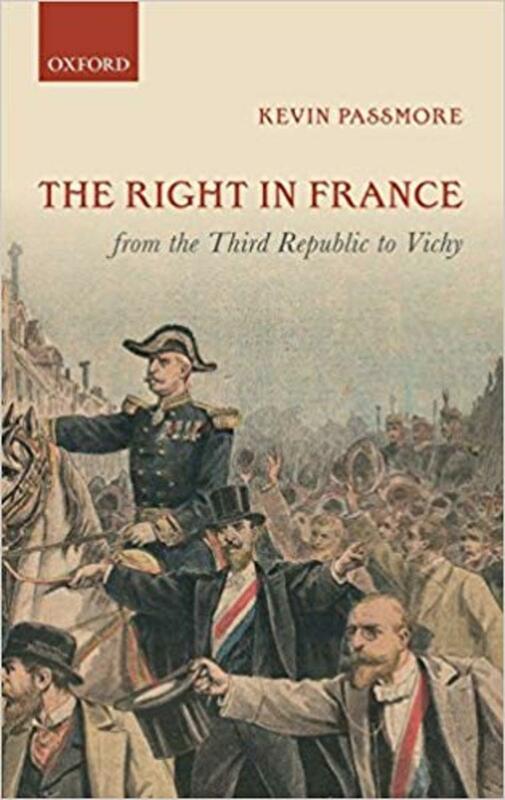 The Congress Poland was actually just another Partition; land vassal to Russia and smaller even than the Duchy, the area politically would not make a freehold, under the Russian rulers Alexander I, Nicholas I, Alexander II, Alexander III, and Nicholas II — until 1915. Year 1918, Poland continued to lack in democratic thought, and monarchist influences were holding: the Polish–Lithuanian Commonwealth, that is, the Crown and Duchy of Poland and Lithuania, was still named the “First Republic”, in error on forms of government. A republic is not a monarchy and it never has a king, queen, duke, or duchess — in short, a feudal lord — for the head. Although the kings of the Polish-Lithuanian Commonwealth became elective, they were not presidents chosen in free elections; they were chosen by feudal lords, and one could belong to the feudal class only by birthright. Closer to a republican form in government, the Second Republic began failing on democratic standards soon, within 7 years. It survived 21 years, until World War II. Assassination of President Gabriel Narutowicz, in 1922, decided the decline. The assassin, Eligiusz Niewiadomski, was the Prus coat of arms by the Polish-Lithuanian Commonwealth. The Second Republic went under Józef Piłsudski, who overthrew the civilian government in a coup d'état, in May 1926. Piłsudski did not become President, but remained the “strongman”, or actually a dictator. The Partitions had had a devastating influence on the Polish, and Poland stopped being a good source for the Polish language. The aforementioned President Narutowicz, as a young man, went to live in Latvia for a few years: his mother did not want him forced into a Russian school, under Russification. The only asset by the also aforementioned Sienkiewicz, in my opinion, was his retained Polish language capability. His nickname of choice was “Litvos”. Polish having been a forbidden language, Polish patriotism became presented as willingness to die for the country. An effective republican form of government, one to let live and thrive, looked too distant a prospect. 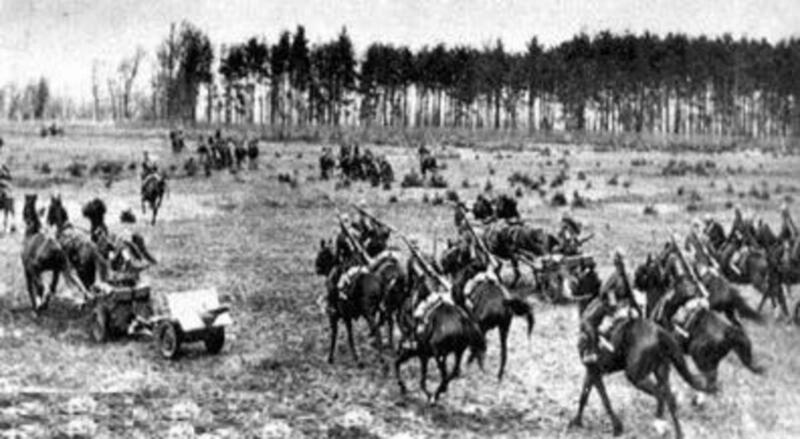 The Polish army, created after the Partitions, was not as advanced as the German or Russian, and the picture below shows the Second Republic military wits: horseback cavalry was ordered to charge on German armored infantry tanks at Bzura, one of initial sites of encounter between the Polish and the German, in World War II. The Polish act was more of a suicide, than strategy. Before the War, despite regular news from Germany, on Hitler rising to power, Polish authorities did not allow citizen armament. President Ignacy Mościcki issued his call to arms as late as August 31, 1939. Mein Kampf by Hitler was published in 1925: a year before Mościcki became President and Piłsudski the “strongman”. It was mentality as above, to instigate the Warsaw Uprising, during World War II. A rebel never meant to win, it costed 200 thousand civilian lives. The Home Army knew they had no chance to prevail, and that Nazis had the policy to inflict mass retaliation for armed unrest. The sad act merely befitted the myth of Poland as “the Christ of Europe”. In giving the world the show, the rebels did not think if the world would “buy tickets”. Yalta definitely was not a standing ovation. 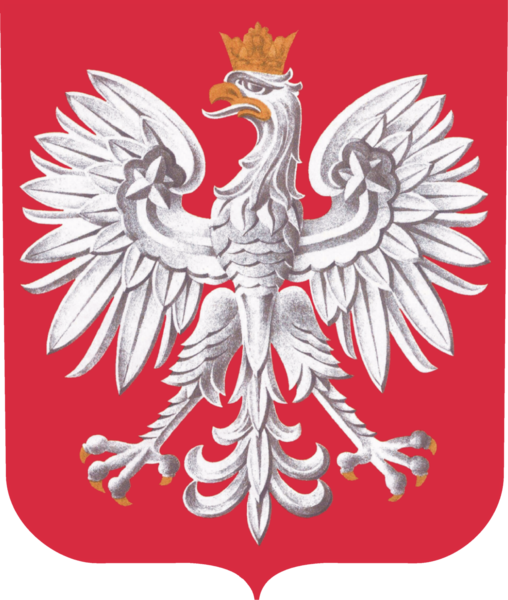 This is the national emblem of the third Rzeczpospolita, as Polish authorities continue to name the country. 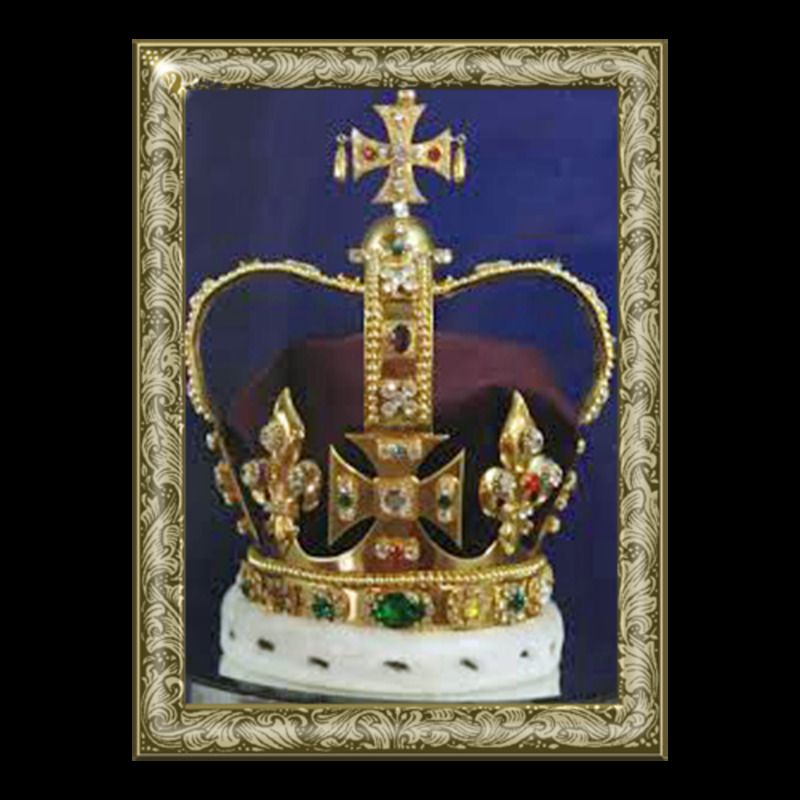 The crown was added after 1989, by the Contract Sejm. Poland is the only such eccentric in Europe: to have Presidents with royalist insignia. Citizens were not asked their opinions. There was no public vote on the matter. The illusion persists, that a “democracy by the select” might work. Practically, it prevailed also under Communism, only the select were a pattern different from that in the Polish kingdom. Jeśli ktokolwiek jest winien, to bardziej USA niż Polska. Gdyby słuchano naszych informacji, to by się włączyli i szybko by się przeciwstawili hitleryzmowi. To oni mają większą winę niżeli my. 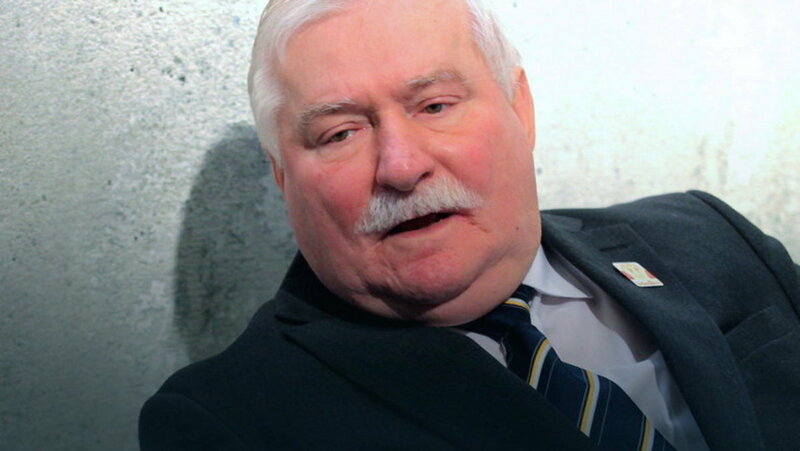 The USA is more guilty than us, said Lech Wałęsa in response to FBI James Comey, who insisted on awareness. 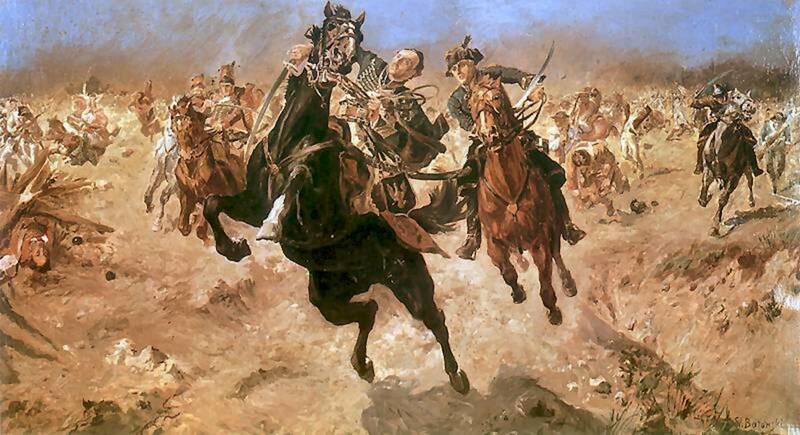 I yet doubt Mr. Wałęsa, a Commander in Chief his own time, would have gotten on horseback as at Bzura. I do not understand the expectation on America to provide. The Polish had a defense agreement with England, before World War II. Would the “side effect” mean you never blame a monarchy? Year 2017, the Polish Institute of National Remembrance stated Mr. Wałęsa was a secret service cooperative in early 1970s. The Home Army, the Warsaw Uprising troops, became the “Cursed Soldiers”, after WWII. Today, the crimes would qualify for those against humanity. Romuald Rajs “Bury” was accused of raiding villages. Polish media report there are witness accounts and records it happened, people were gathered in a household, locked, and burned. Not all Home Army were part the developments, yet all have adopted the “curse”. Human rights might have been a term unfamiliar, to a Polish noble of feudal Poland. The rights are known well, today. Year 2017, it is the Polish president Andrzej Duda to defend the “Cursed Soldiers” as if feudalism has never been gone. In Poland today, very many places of power are taken by people whose parents or grandparents actively fought the Cursed Soldiers, within the framework to establish Communism: in short, who were traitors, he states in an interview. Bardzo wiele wpływowych miejsc we współczesnej Polsce zajmują osoby, których rodzice czy dziadkowie aktywnie walczyli z Żołnierzami Wyklętymi w ramach utrwalania ustroju komunistycznego, czyli krótko mówiąc, byli zdrajcami. 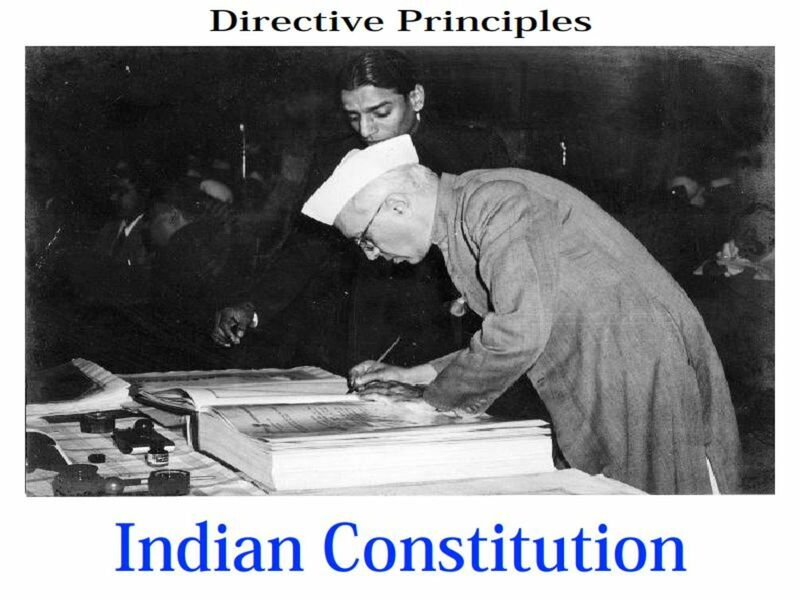 The dispute over the Cursed Soldiers is a historical encounter, but it also is an encounter on the “governance over souls” in our country, if the “governance over souls” is to remain in post-Communist hands. I say — No, added Mr. Duda. In feudal Poland, “souls” was a name for bonded peasants, by the landowners. It was the feudal time in Polish history as well, for treason to be viewed in hereditary terms. 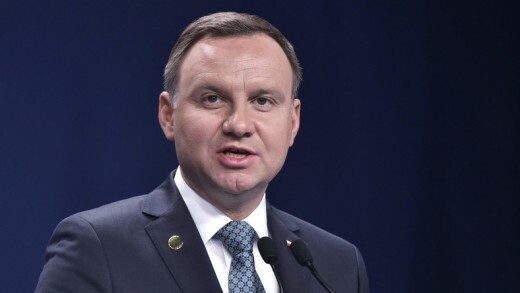 Andrzej Duda says it is a fight for “governance over souls”. Heated with politics, debaters do not mind that the Home Army ethos could be simply disliked. In primary school, I wrote critically about the Uprising, following my own discernment, not indoctrinated by anybody, and using a relatively simple technique, I think, a cognitive one. Reading own essays in front of the classroom was part the school curriculum for the Polish language. Classmates did not victimize me for my opinion. I have not changed my mind. Writing in persons other than the grammatical first: what would have things been with me, had I lived in Warsaw then? The Home Army would have had my life, that of an ordinary civilian person, for expendable. My life would have been exposed to adversities worse than the everyday reality of war, without asking my opinion, and leaving me just as those 200 thousand, to Nazi retaliation. After the War, beside murder, the “Cursed” were reported to commit armed robberies, on post offices, railways, and factories. They actually lived off robbery, and their actions were giving ground to Soviets. Considered ineffective in administration, Poland would have gone under tighter control from Moscow. The Home Army never had a strategy or even thought, for the country and the people. How is a country supposed to function without post offices? — asks Marek Zaremba over Onet, year 2017. Not all the “Cursed” were heroes, the media debate resolves, without asking why all have taken on the “nick”. Was there anything attractive about the nickname or associated activity, to them? This is another thing I do not like, the “allure of evil” kind of stand. Life is simply better without such a twist. Polish military forces support the “Cursed”. Now Minister for Defense, Antoni Macierewicz says the Home Army have been the foundation for the Polish army of today, and grants military distinctions. March 1st becomes declared the “Cursed Soldiers' Day”. A memorial runs through Hajnówka, Katarzyna Bonda's home village, where the “Cursed” reportedly murdered people. Bonda is her real second name, not a pseudonym. I do not condemn cursed soldiers, I condemn what “Bury” did. He burned villages, murdered people — a crime is a crime. This history is well documented, about the murders on Orthodox Christians in year 1946. The right to live has been one of the fundamental human rights, in Europe and the world. Year 2002, Gazeta Wyborcza published a material on paramedics and doctors in Łódź, who terminated emergency patients with injections of Pancuronium, a curare mimetic, to get bribe money from a funeral company. 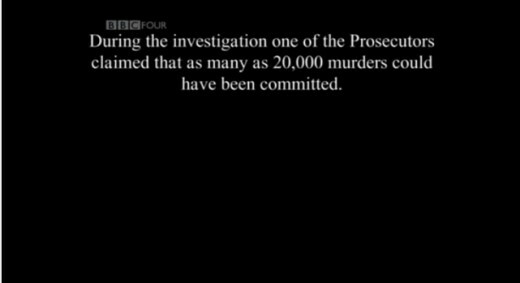 The “skin hunters” took 12-70 thousand PLN; they murdered 5 people. A regular funeral in Poland is about 5.5 thousand PLN, and the state is obliged to contribute. To get a picture on the Polish zloty in Łódź, a single bedroom flat of some 30 square meters is about 106-117 thousand PLN there. In business, money that would not calculate for investment, cannot calculate for bribes. The court gave verdicts for 5 patient terminations, and 14 cases of exposure to a life threatening factor. An amount of up to 70 thousand PLN is too much money, to promote burial for 19 bodies. There is no law in Poland to impose the funeral home, and no business would put money in, without an expectation on profit. The judges did not find it necessary to order a calculation, for their verdict. Polish hospitals that use Pancuronium are legally required to record the substance supply and use. Pancuronium is not allowed for patient self-administration. 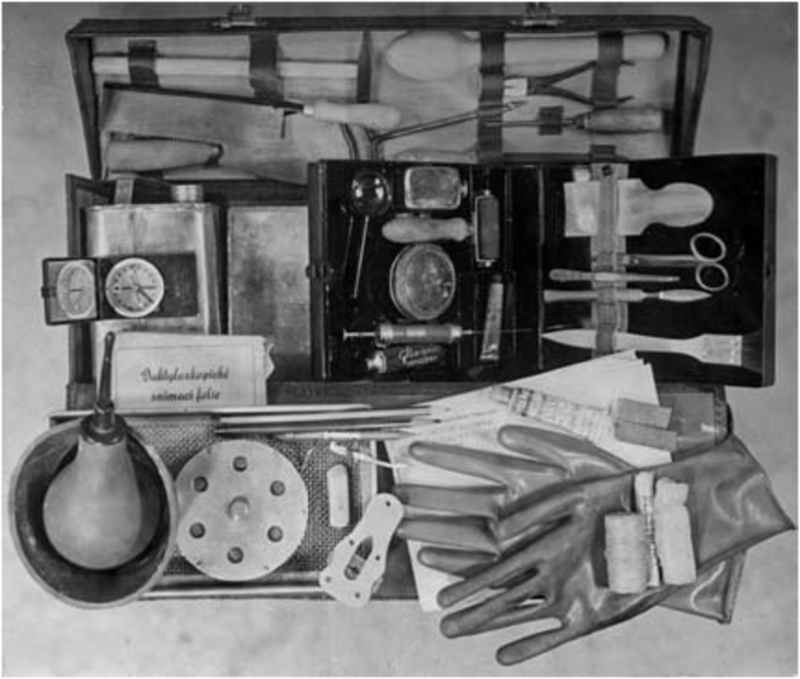 Polish law requires autopsy for bodies of people who die within 12 hours, in hospital or on the way to it. The law was in force at the time. All “skin hunter” victims were emergency patients, reportedly injected on the way to hospital; therefore, within the 12-hour time span. Discovery of the affair is depicted as a leak to the media. Regardless of inconsistencies as above, only four persons got sentenced. One paramedic got 25 years, the other a life sentence. The physicians were sentenced to 5 and 6 years, both to be allowed back in the medical profession after 10 years. A foreign documentary indicated the body count at about 20 thousand people. The Swedish production has not been received well in Poland. The Swedish-produced movie is unwelcome in Poland. For as in absolute governments the King is law, so in free countries the law ought to be king; and there ought to be no other — Thomas Paine, Common Sense. It was year 2007, when the Polish Constitutional Court revealed their opinion that law was an abstraction. The legislative authority consists in making binding norms for conduct that are abstract and general in character, stated the Polish Constitutional Court in 2007. The Constitutional Court was not judging on Łódź then, yet the statement looks a proper reflection on Polish legal standards. Year 2015, the Law and Justice party evidently took the law for abstract, making own appointments to the Constitutional Court. The party argued, the previous appointments by the Civic Platform were unconstitutional. The European Union did not like the idea to create a precedent. Early February 2014, the Polish government decided to transfer about 51% of Pension Open Fund (OFE) into the social insurance fund ZUS, a pocket run by the State. The authorities took over 154 billion PLN citizens' cash, to reduce the public debt. The Charter of Fundamental Rights of the European Union was published in 2012. Everyone has the right to own, use, dispose of and bequeath his or her lawfully acquired possessions. No one may be deprived of his or her possessions, except in the public interest and in the cases and under the conditions provided for by law, subject to fair compensation being paid in good time for their loss — European Union Fundamental Charter, Article 17. The rights of every individual within the EU were established at different times, in different ways and in different forms. For this reason, the EU decided to clarify things and to include them all in a single document, says a website by the Union. The Open Fund money could have been shared between spouses, or become inheritance: a member was entitled to indicate the person for the payout. The Polish Social Insurance Institution terminates the temporary old-age pension for example, with the death of the Open Fund member. Property rights generally do not look respected, with Polish workers having to pay 18% income tax, 9% obligatory health insurance (even if never sick), and about 19.5% obligatory pension fund. All the pockets belong to the State, and the contributions are 46.5%, in sum. Poland never ratified the 2002 European Convention on transplants. Instead, a law to have everybody for a donor was passed, in 2005. Citizens may register their objections, yet it might be the family to have the last say. It is enough a family member states the person spoke with them on the matter. the free and informed consent of the person concerned, according to the procedures laid down by law — Article 3, European Union Fundamental Charter. The Upper Silesia Industrial Area, especially its central part, is an area of advanced environmental degradation. Benzo(a)pyrene (BaP) is proven to be cytoxic, genotoxic, carcinogenic, teratogenic, and immunotoxic, says research published by the Polish Journal of Environmental Studies. Polish Journal of Environmental Studies, Vol.20. No.5.1251-1258: Benzo(a)pyrene Emissions in Cities of the Upper Silesia Industrial Area in Southern Poland, 1980-2005. In words simple as they can be, one might go to Upper Silesia for suicidal purposes, were there not ways faster and less painful than terminal illness. A high level of environmental protection and the improvement of the quality of the environment must be integrated into the policies of the Union and ensured in accordance with the principle of sustainable development — European Union Fundamental Charter, Article 37. 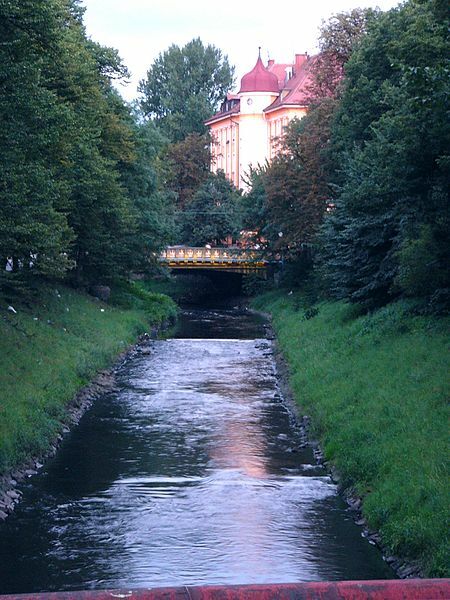 When I was leaving Poland in 2004, Kłodnica waters were literally black and thick with industrial waste. An air monitoring research showed abundant airborne pollutants already in 1994. Exposed mice showed chromosomal rearrangements and increased sister chromatid exchange. Good I was in Gliwice only for a few weeks. In words simple as they can be, again, one also might chance going to Upper Silesia to get mutated. Results on mice can be predictive about humans, not only when the thing is about cosmetics. Sister chromatids occur in mitotic recombination, a DNA repair process. Indexing for sister chromatid exchange is used in mutagenic testing of products. Increased exchange may result in mutation. Such a mutation may develop into cancer, as well. Maria Skłodowska-Curie Cancer Institute, Gliwice filial, noted 7.6% growth in cancer rate for the entire Silesia region, between years 1999 and 2010. Lung cancer was the first in the list. For Silesia, the cumulative risk of malicious cancer was estimated as about 20%, in year 2010. Brussels defenders for natural environment are absolutely critical about the Polish “nature”. EU ecology report for 2014 estimated the number of pollutant fatalities in Poland at 46,020 people. Year 2017, the Law and Justice Jan Maria Jackowski says, All these conflicts are pretexts. Such are the attitudes, as he puts it, by “the so-called elites” of Europe. “It is dirty, but it is Polish”? The usual Polish grudge is “European bureaucracy”, and there is even rumor of Polexit (term formed after Brexit). European votes against natural resource impurities become interpreted as those against Polish products, also in the media. When the European Parliament votes to limit cadmium levels in articles for soil enrichment (also in 2017), the Polish complain about European favoritism for Russian sources. The Polish have invested in rock phosphate from Africa, where cadmium levels are “much higher”, says Onet without specification. Onet describes the European resolve as that against Polish industry. “It is unlawful, but it is Polish”? Year 2017, twenty of European Union member states agree to create the European Public Prosecutor's Office (EPPO). Public prosecution could work without individual complainants bringing the legal matter into court. Poland declines. Prime Minister Beata Szydło states the office would only duplicate other European Union institutions. The Law and Justice Party vote against Polish participation. It has happened quite a few times so far, that looking at the Polish reality I thought “they must be joking”. It happened also in year 2015, when I saw a video about the Polish Democratic Left Alliance (SLD) candidate for the President of the country. Magdalena Ogórek met all requirements for the colloquial Polish phrase, “a blonde with big eyes”. Well, but SLD derives from the Polish United Workers Party, PZPR, and there was the Central Committee, under Communism. You did not have country Presidents. You had party first secretaries, and decisions were male-made. Well, I really have never loved Poland, and naturally, I have never had any such mass affectation as to try loving people in general. I am certainly never going to get to love the country or the culture, as above. 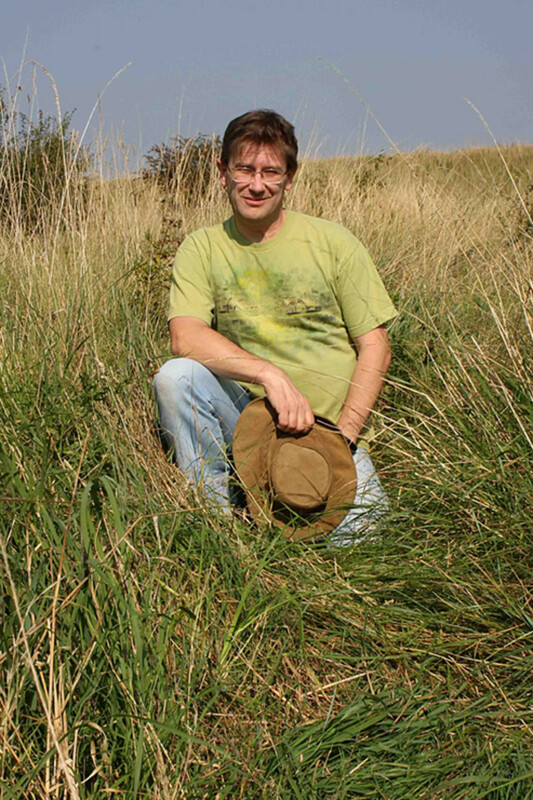 I was born in 1970, in Częstochowa, but the family came to live in Gliwice, Silesia, in my early childhood. Summer, you did not open the window that looked to Kłodnica, as there might be unpleasant odors. I wanted to emigrate when I was a teenager. I left Upper Silesia in 1989 to study, but already there and then, in Silesia, the martial law and simply learning history at school distanced me from the country I had been born. It looked a country to have held absurd for highest of values, and that since olden times. And me — however aware of human mortality — I have never thought a human being should be considered some living nonsense. I want to change my citizenship. I do not like the sense of humor. “The toolbox republic” in Polish. I've expanded the hub; living under a bit of stress, writing has become more of a process. You can change your comment, if you like.